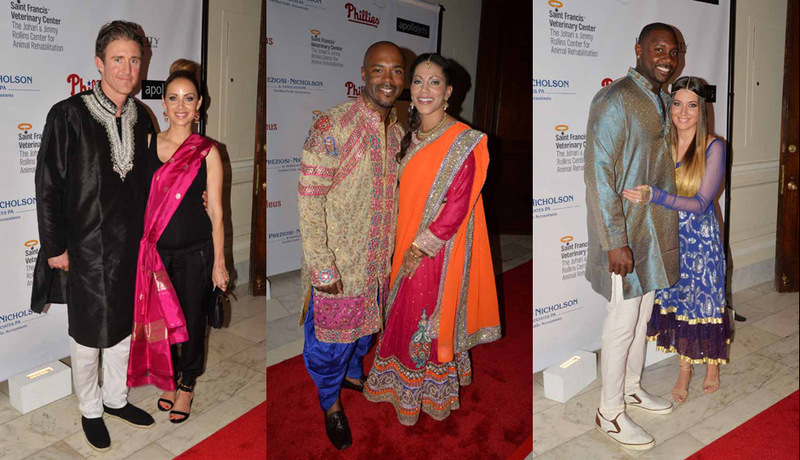 The Jimmy Rollins Family Foundation held its 4th annual bash last night. The theme of the night? Bollywood of course! ‘Taste of the World: Bollywood Bash 2014.’ In the past they created Havana Nights, Harlem Nights and A Night In Paris! Ooh- La la! Check out the Indian outfits worn by his teammates and their wives. Such good sports!